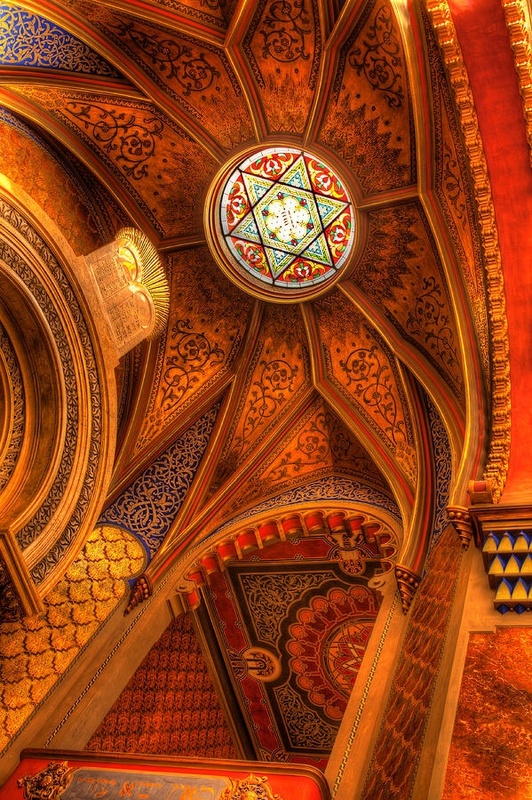 The Spanish Synagogue is a Moorish Revival synagogue built in Prague in 1868 to the design of Vojtěch Ignátz Ullmann. The facade copies the form of the Leopoldstädter Tempel, built in Vienna, Austria, in 1853, a tripartite facade with a tall central section flanked by lower wings on each side. As in Vienna, the central section is topped by a pair of domed turrets.